Welcome to the OSBA Book Club! We are looking forward to a new year of continuing the goal of lifelong learning through the reading and sharing of more great books. Our goal is to choose books that are of interest to school district leaders and that can help them in better understanding their work, growing their relationships with staff and community members, building leadership skills or simply because of personal interest. It's free to join the OSBA Book Club but you must be registered as a Book Club member to receive its communication. Book Club members receive email notification when a new book is selected. As we read each book, we'll send members two or three questions to encourage discussion at board meetings or with district leadership team colleagues. The OSBA Book Club began in the winter of 2014 with "How Children Succeed: Grit, Curiosity, and the Hidden Power of Character", by Paul Tough. Check out the many great selections we've read since then. Please join us for our current book or spice up your knowledge with one of our previous reads. This winter, we're reading, ""The Power of Moments: Why Certain Experiences have Extraordinary Impact" by Chip Heath and Dan Heath. Click below to order the book through OSBA's Amazon store. The OSBA Book Club is a cost-free program allowing member districts (board members, administrators and district staff and community members) to read and learn together. 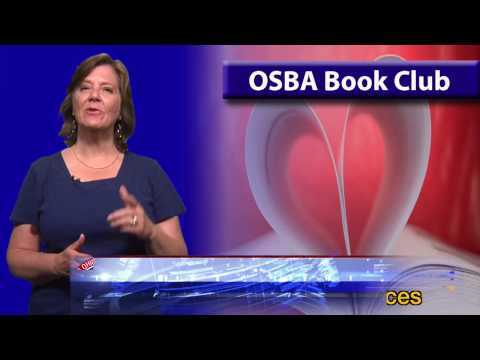 OSBA's Cheryl W. Ryan explains why you should join the Book Club in the video under "Resources. "Do you have a suggestion for another book that would be a great addition to the OSBA Book Club Series? Email Teri Morgan with your suggestion.